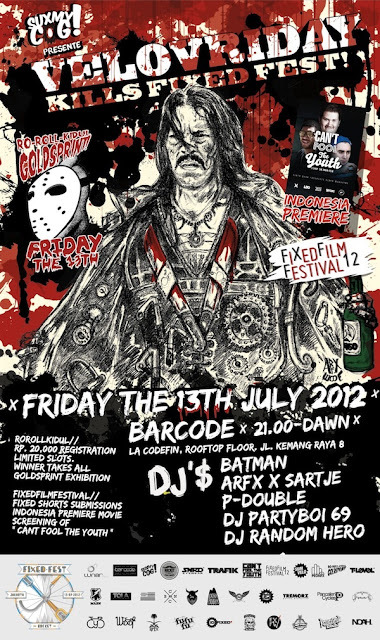 Pancalen Cycles: VeloVriday Kills Fixed Fest! The opening party of Britama Fixed Fest 2012! Not just ordinary party, here you can watch Ro-Roll Kidul Goldsprint race (featuring four riders on head-to-head roller sprint battle), Fixed Film Festival and Indonesia's premiere screening of "Can't Fool The Youth".